Maximize time in Cartagena with a tour designed for cruise ship passengers. 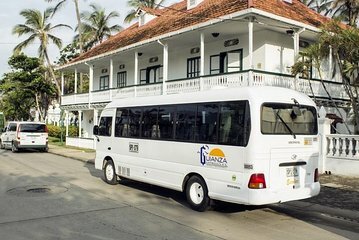 Meet your guide near the gangway in the port and board an air-conditioned vehicle for a scenic tour of Cartagena. Learn about the history and culture of Cartagena from an on-board guide. A stop in the walled city to take pictures and shop for souvenirs is included.